This pachisi or chaupar set comprises sixteen domed ivory pieces (narads) and three ivory long dice (usually called pasas). The pieces date to the seventeenth or eighteenth centuries. There is also a later playing cloth which is of pink and black velvet with pale green stitching. The set is complete; sixteen pieces and three dice are required for the game. The pieces are of characteristically dome-shaped solid ivory, engraved at the top with circular grooves which hold red, black green and yellow coloured lac – a colour for each of the four players. This type of game has many local names in India. 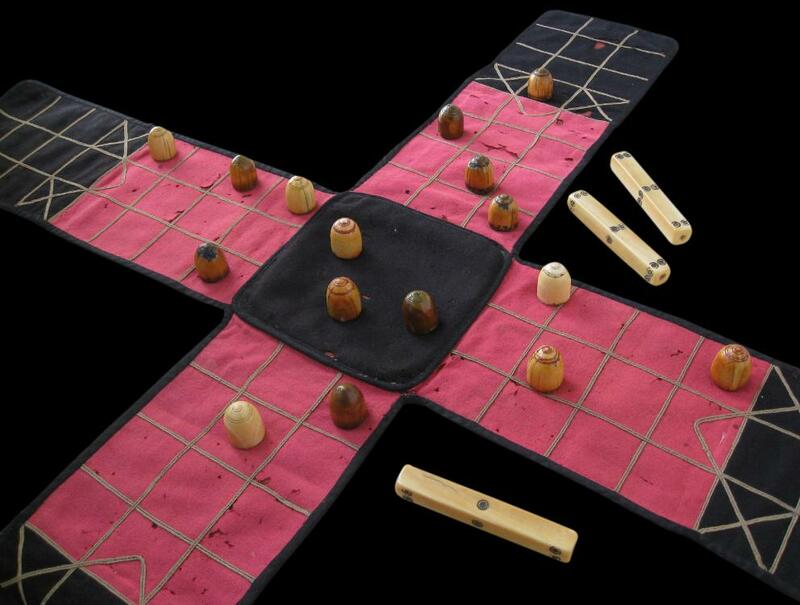 Pachisi in Hindi means ‘twenty-five’ which is the highest score that can be achieved by one throw of the dice. Chaupar reflects the four arms of the usual playing board or cloth. The game has a long history in India. Eighteenth century miniature paintings show various maharajas and their courtiers playing the game, although the history of the game in India stretches back well over a thousand years. For much of this time, the game was associated with courtly and aristocratic circles. The aim of the game is to start with the pieces on the outer part of each arm. Each player takes turns to throw the dice and move his pieces towards the middle accordingly. The difficulty comes in the last few steps when the number thrown on the dice must match exactly the number of squares left before the middle is reached, with the winner being the first player to get all of his pieces into the centre at once. The pieces can be made from wood, bone, glass, metal or in this case, ivory. Typically, the boards are or cloth and were produced by local tailors. 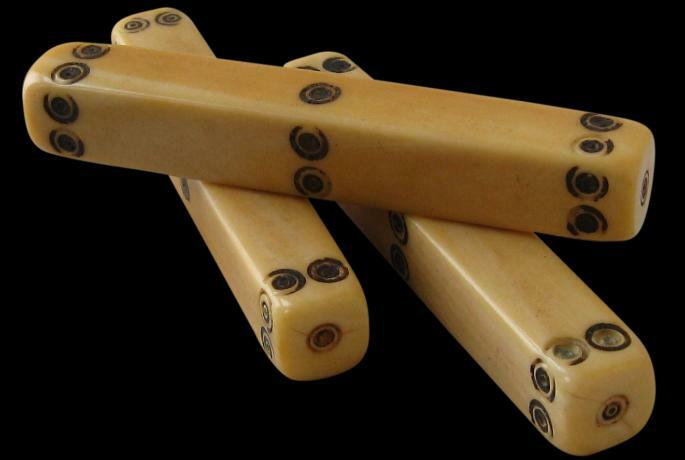 The ivory dice are the long type that were historically favoured in India. The cube-shaped dice popular almost everywhere else inexplicably never won favour in India. 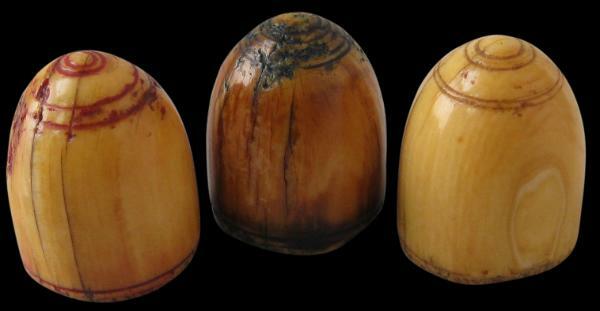 The ivory pieces and the dice have beautiful, honeyed patina and wear from use (some wear is inevitable – the game progresses with players capturing opponents’ pieces by delivering a ‘death blow’ which involves slamming their piece down on that of their opponents.) The playing cloth has significant insect deterioration and is included more for its demonstrative effect. In any event, the cloths were routinely replaced as they deteriorated from use and from India’s tropical climate. Overall, this is a rare, complete and relatively early set. Topsfield, A., (ed. ), The Art of Play: Board and Card Games of India, Marg Publications, 2006.